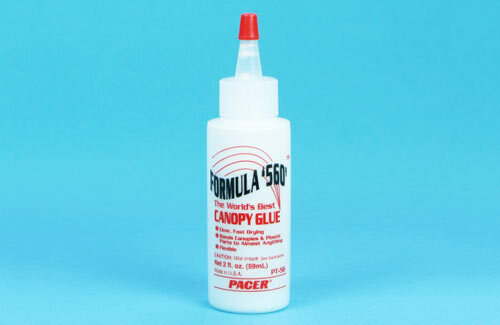 A super-high viscosity formula cyanoacrylate adhesive. 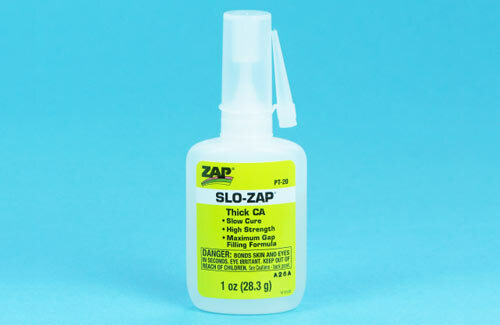 Perfect for laminating and fillet forming, Slo Zap CA allows around 30 seconds positioning time, with full cure taking place in approx 30 - 40 seconds. 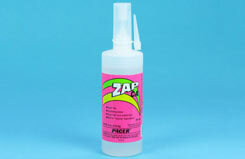 Use a kicker for an 'instant' high strength bond. 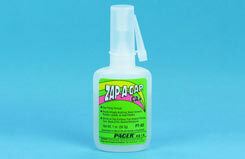 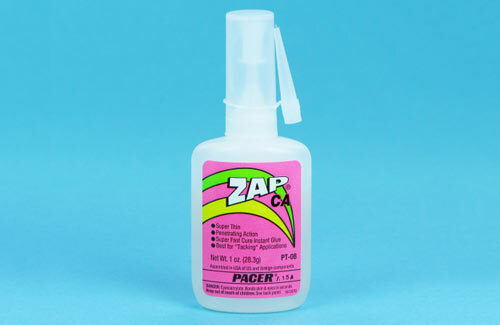 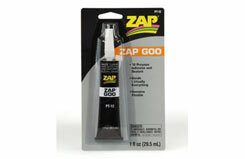 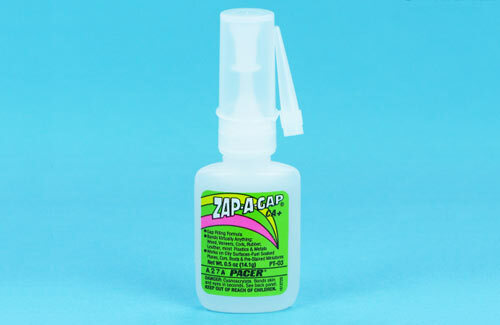 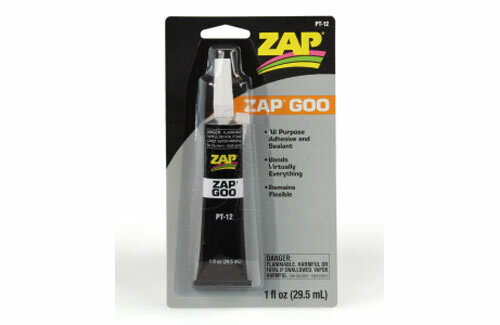 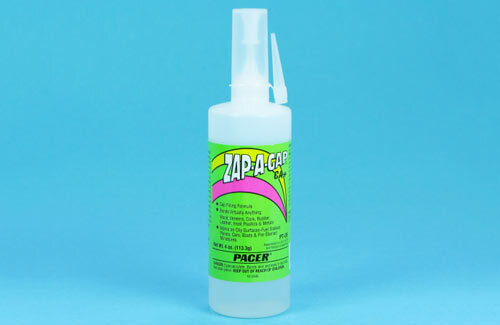 Zap O is a medium viscosity odourless cyano that really does work. 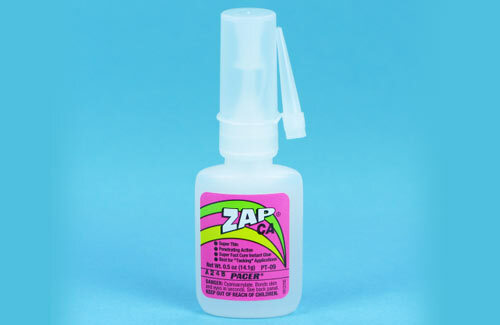 Perfect if you are sensitive to the odours given off when regular CA's set. 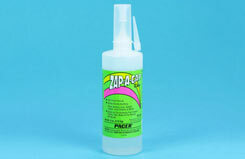 The medium viscosity gives an extended cure time of around 15 seconds. 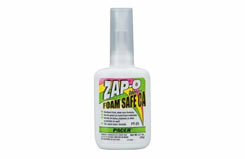 Safe for use on all hobby foams.